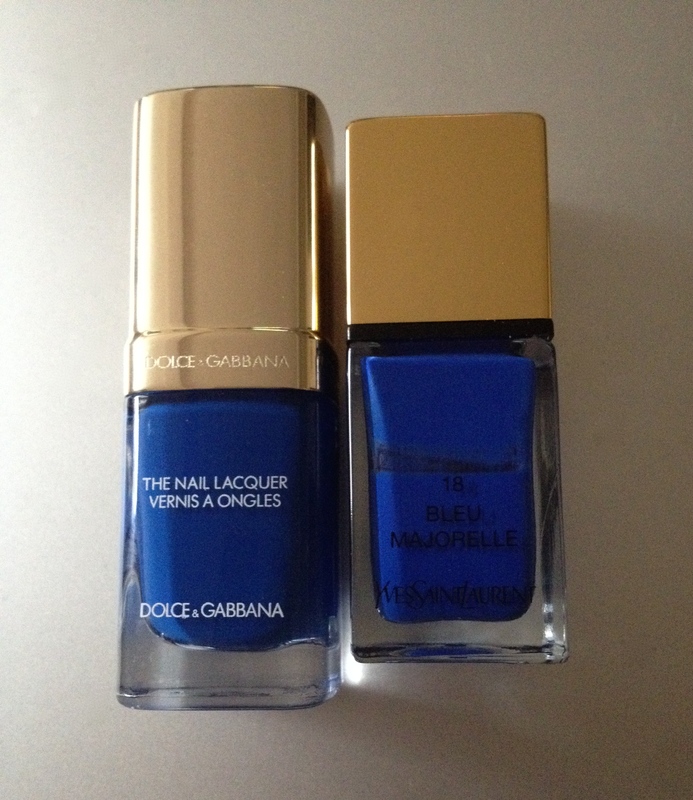 Ok, so, I’ve never been a fan of Dolce&Gabbana nail polish formula. It’s just too thick. So thick it hinders application. It’s hard, it’s messy to apply this stuff. 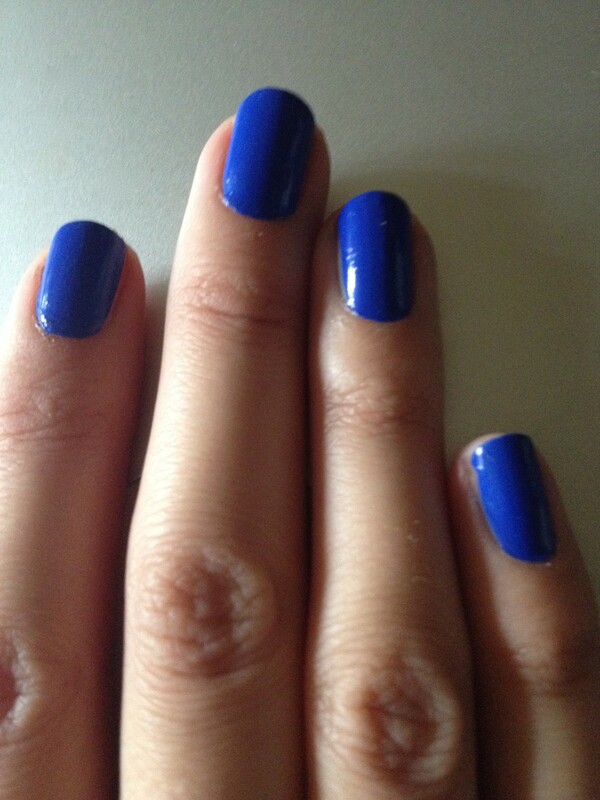 Nice shades, but too much pain and effort to apply this polish. 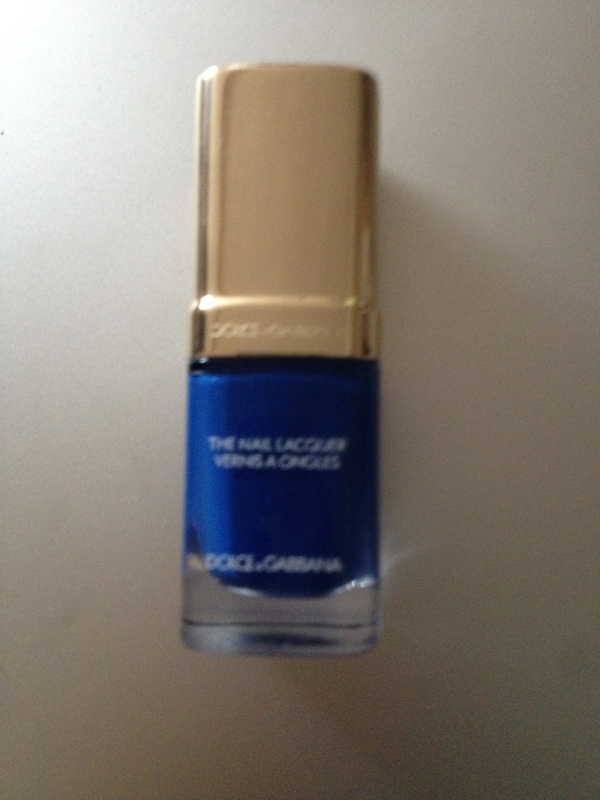 So, when Dolce&Gabbana announced they’re relaunching their nail polish line I was happy. I expected that the formula will get better. 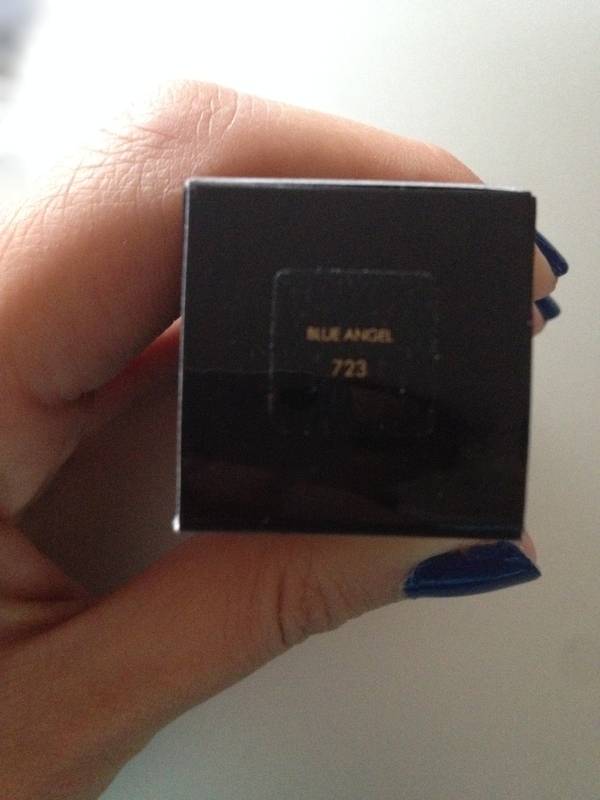 The first shade I picked up with new formula is 723 Blue Angel from the spring collection. 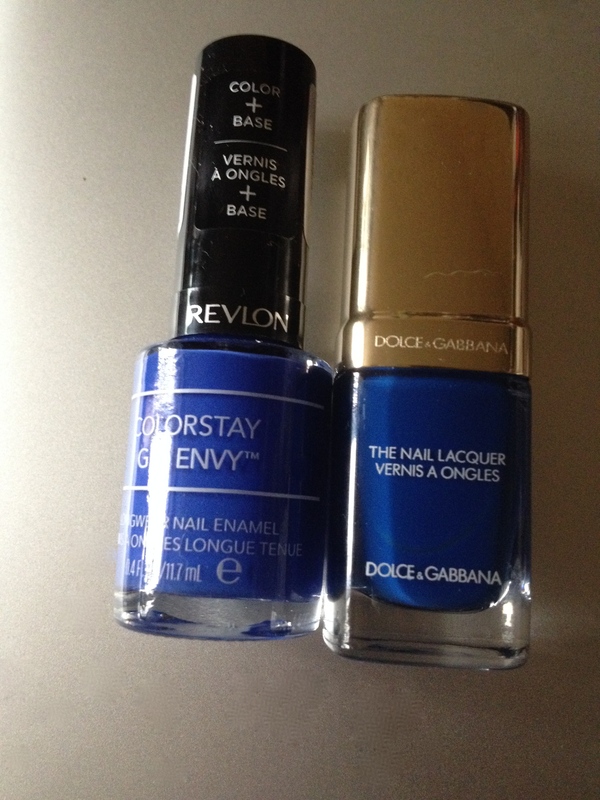 It’s a nice well balanced blue, not too bright and crazy and neon, the kind even those who aren’t that keen on blue nails might actually wear. That said, let’s talk about the new formula of this nail polish range. The new formula feels like it’s gel formula. Well, gel formula applies easily and nicely, generally speaking. 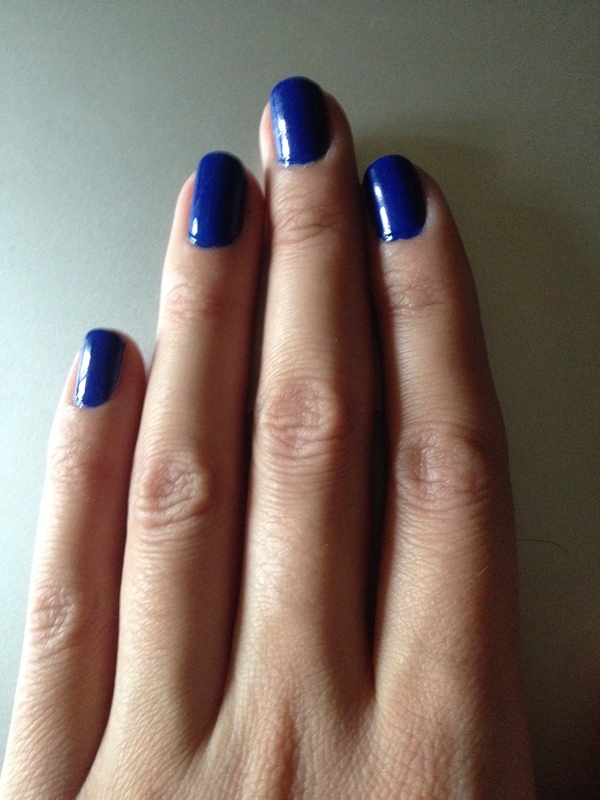 Dior relaunched their nail polish line not too long ago and turned it to gel. Now. Dior nail polish also had some application issues. It’s was a little bit too thick and didn’t last that long. But all this got fixed in their new formula. Unfortunately, I can’t say the same about Dolce&Gabbana. This new formula is gel, but it’s just still TOO THICK. Way too thick, so that you always get too much on the brush when pulling it out of the bottle. 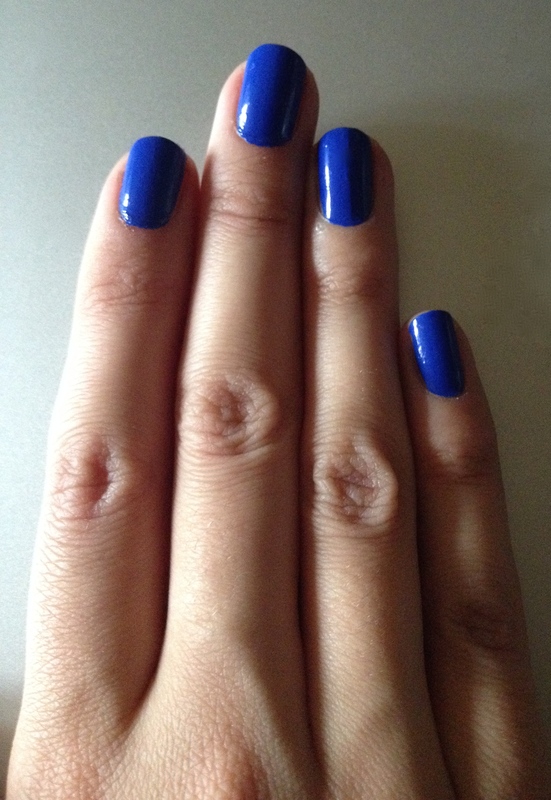 And, as a result, too much on the nails, which creates such a mess. It’s awful. Impossible to use this nail polish normally. 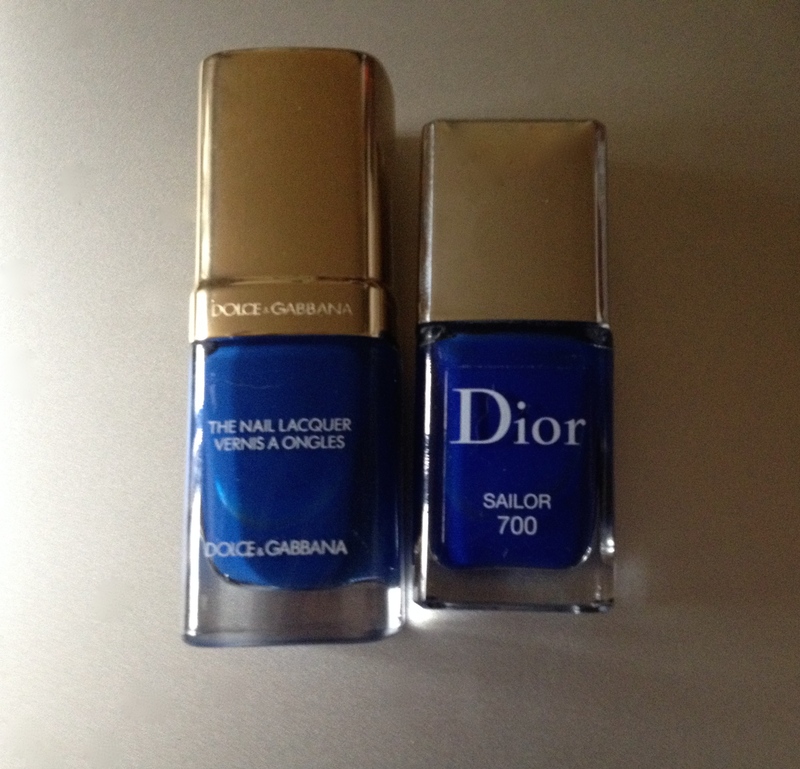 I mean, c’mon, really, this is luxury market, can’t Dolce&Gabbana come up with a good formula for their nail polish? I’m very disappointed. Very much so. 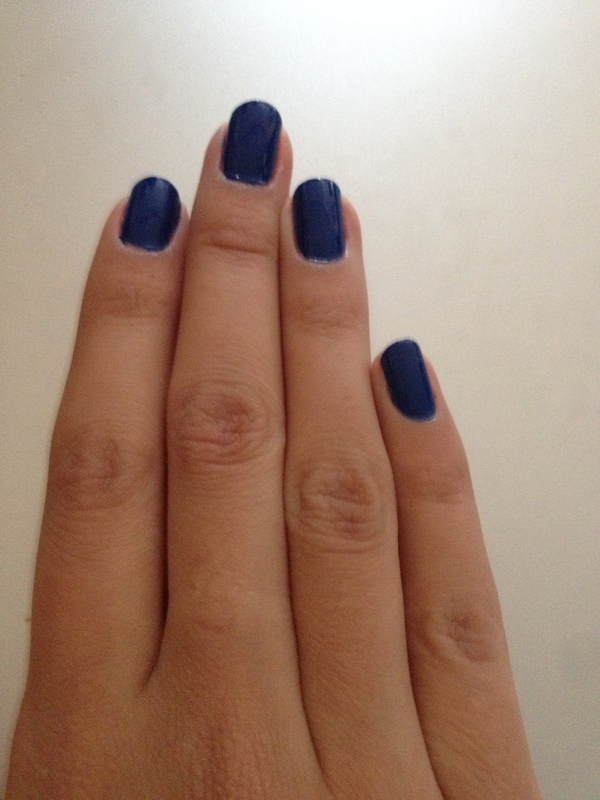 Dolce&Gabbana nail polish is still a no go for me. Unless some spectacular shades get released. 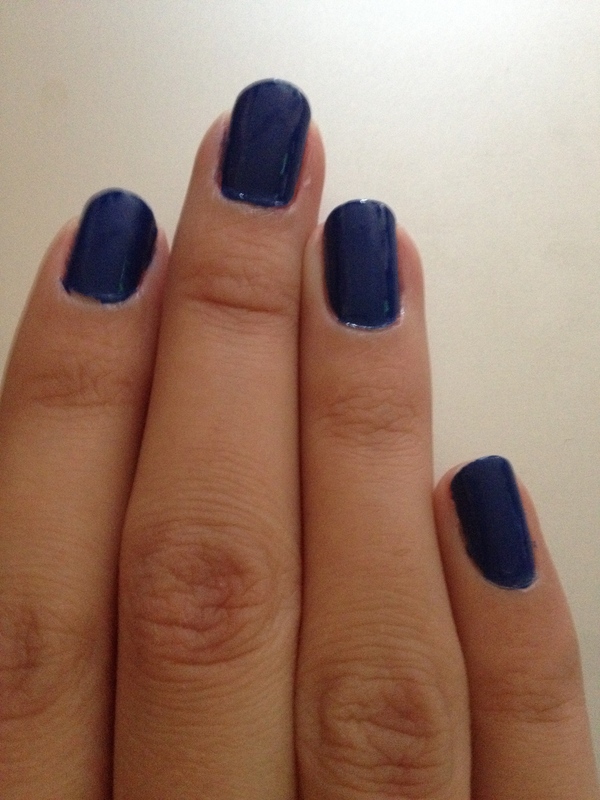 Speaking about shades, this blue shade Blue Angel is nice, but we’ve seen something like it already just recently in Sailor 700 from Dior Summer 2014. Sailor is darker though. Take a look. Blue Angel’s on the left. Sailor’s on the right. 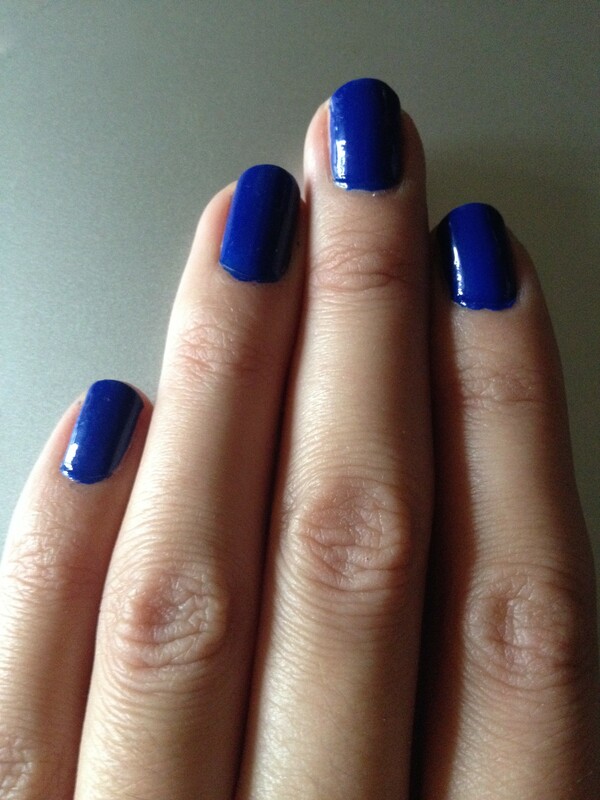 It also reminds me of Revlon 200 Wild Card, which is lighter than Blue Angel. Please, see Wild Card on the left and Blue Angel on the right. 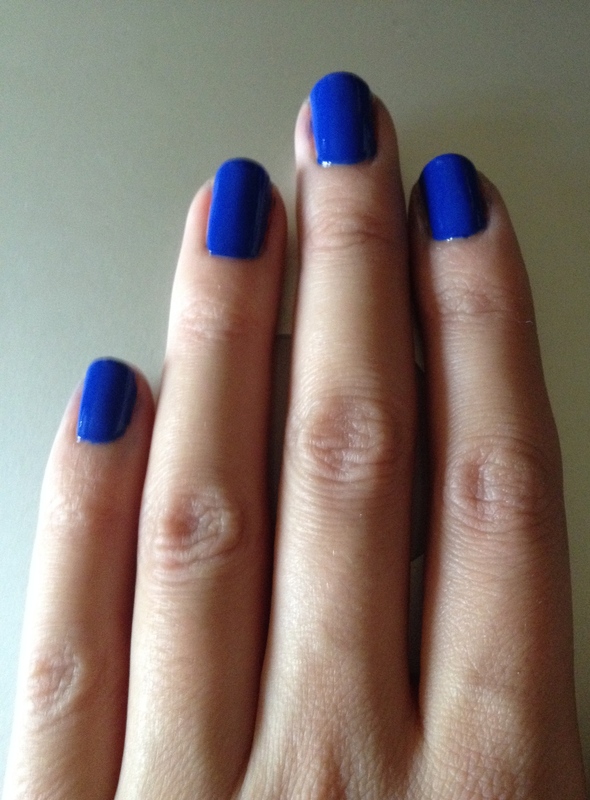 And of YSL 18 Blue Majorelle. 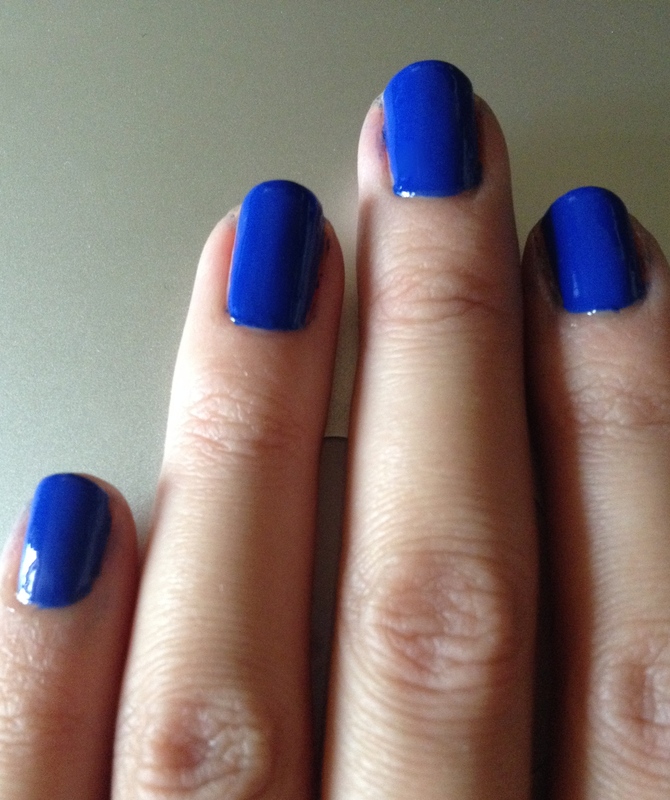 Here’s Blue Angel on the left and Blue Majorelle on the right. In fact, it’s very close to Blue Majorelle. Very very close. Of all of these it’s the closest. So, my question here is: what happened to creativity? 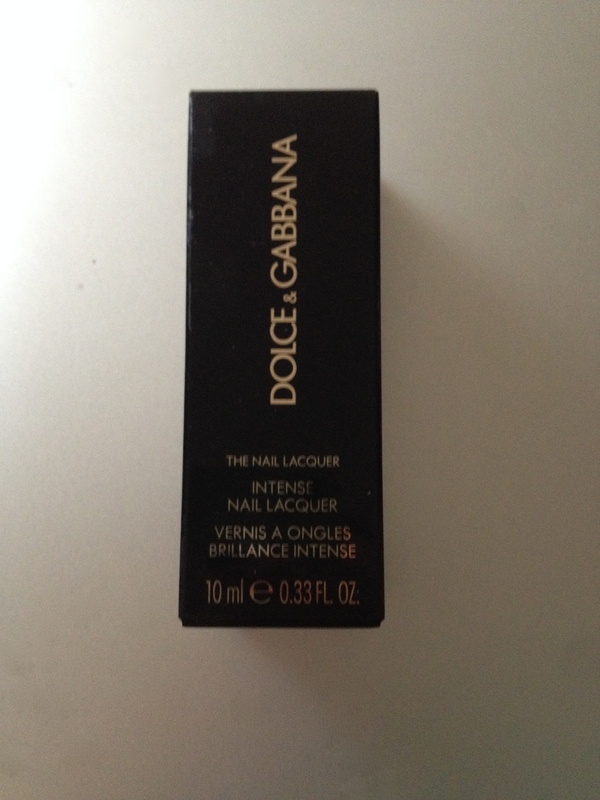 Can’t Dolce & Gabbana really come up with a shade, that’s at least somehow different? The bottom line is I’m disappointed all across the board here. 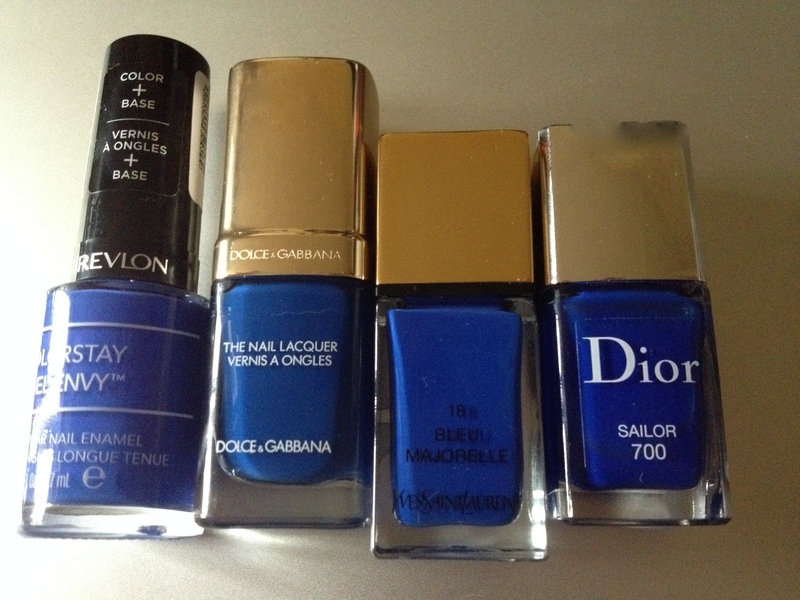 I have a couple more limited edition shades and a regular nail polish line shade, and I’ll try them, but I don’t know. I just don’t think I’ll be able to get along with this new formula. Pity.